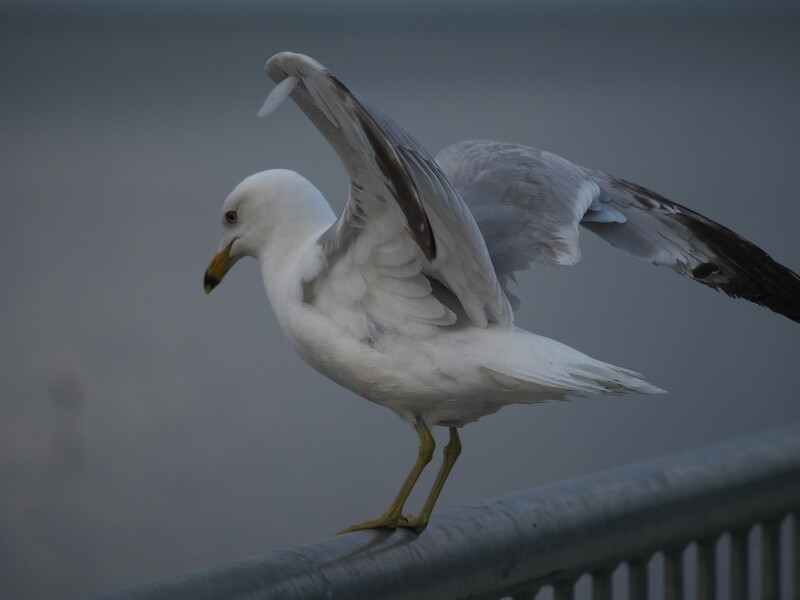 This gull allowed me to get quite close - several times he stretched his wings as if to take off but didn't. Nice close up and great timing. Oh, the poor darling, just starting to get the feel of his wings ;) Great capture.